Nathan was a police officer in Evansville, Indiana who battled leukemia for nearly a decade. In his lifetime, he was an anchor in the community – serving local sexual abuse victims, training police officers overseas, and becoming an adoptive parent. After nine years and three bouts with the cancer, it took his life. 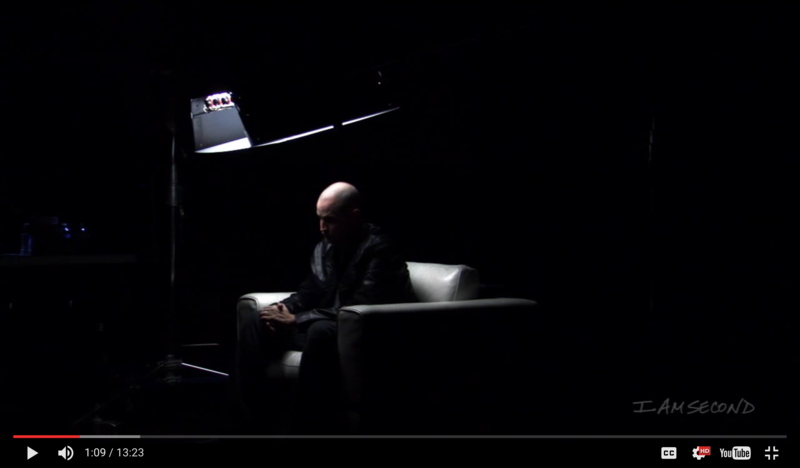 This video put out by I am Second was recorded months before his death after learning that his condition was terminal. One of the most frightening tenants of the Prosperity Gospel is the idea that God will always rescue us from pain if we just have enough faith. In other words, if your cancer goes away, congratulations! You had enough faith. If you die, you didn’t have what it took. In reality, we serve a sovereign God who is good in both victory and tragedy. He deserves our worship in those moments of relief and unrelenting sorrow. Our faith, however big or small, has nothing to do with it. I write this not to preach at anyone in a painful circumstance – only to encourage you with this truth – God is still good. He still loves you, still has a plan for you, and still values you. He might choose to rescue you from your circumstances or choose to glorify himself in your suffering. Either way, he is still in control and still present in your pain. I am both encouraged and left speechless by Nathan’s testimony. I am blown away by a faith that keeps worshipping in the face of death. Yet, this is the very faith that God deserves and the very faith that sets us free. All I can say is that I hope I can demonstrate this same act of faith and trust in the midst of suffering – not placing my faith in God’s ability to heal but in his goodness in whatever he chooses to do.